-01005 Special will leave Lokmanya Tilak Terminus o­n 25.12.2015 & 1.1.2016 at 0110 hrs and arrive Karmali at 1130 hrs same day. -01006 Special will leave Karmali o­n 25.12.2015 & 1.1.2016 at 1310 hrs and arrive Lokmanya Tilak Terminus at 0020 hrs next day. 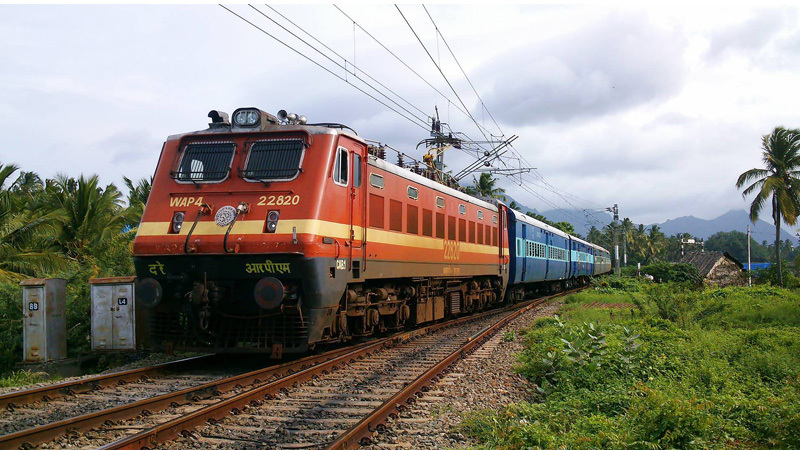 -01039 Special will leave Lokmanya Tilak Terminus o­n 22.12.2015 at 0045 hrs and arrive Karmali at 1130 hrs same day. -01040 Special will leave Karmali o­n 22.12.2015 at 1310 hrs and arrive Lokmanya Tilak Terminus at 0020 hrs next day. -01043 Special will leave Lokmanya Tilak Terminus o­n 23.12.2015 at 0110 hrs and arrive Karmali at 1130 hrs same day. -01044 Special will leave Karmali o­n 23.12.2015 at 1420 hrs and arrive Lokmanya Tilak Terminus at 0105 hrs next day. – 01089 Special will leave Chhatrapati Shivaji Terminus Mumbai o­n 26.12.2015 at 0020 hrs and arrive Karmali at 1130 hrs same day. -01090 Special will leave Karmali o­n 26.12.2015 at 1310 hrs and arrive Chhatrapati Shivaji Terminus Mumbai at 2350 hrs same day. -01001 Special will leave Chhatrapati Shivaji Terminus Mumbai o­n 27.12.2015 at 0045 hrs and arrive Karmali at 1230 hrs same day. -01002 Special will leave Karmali o­n 27.12.2015 at 1600 hrs and arrive Chhatrapati Shivaji Terminus Mumbai at 0415 hrs next day.